Take yourself on an idea adventure. For so many of us, making peace with prosperity is the last frontier. We’ve inherited unhelpful beliefs and ambivalence when it come to money. But an attitude of let’s not even go there, is not the path to a healthy relationship. Is your financial situation holding you back from living a secure life of your deepest desires? Are you at a loss or hopeless about how to make more money? Are you blaming yourself for feeling stuck? Or do you have enough and want to know how to shepherd it responsibly, in alignment with what you value in life? What stories do you tell yourself about what you “should” or “shouldn’t” be doing with your finances? Wherever you fall on the spectrum, you’re most certainly influenced by emotional, cultural, and spiritual beliefs that keep you from having the relationship with money that you truly want. Money touches every area of our lives. And learning smart money skills and removing internal and external blocks can powerfully open your path to the freedom and fulfilment that you crave. You can can transform your relationship with money by changing your attitudes, energy, and behaviors around “wealth” — along with acquiring vital tools for generating wealth, stewarding your resources, planning your giving, launching your side business or charity, and more. 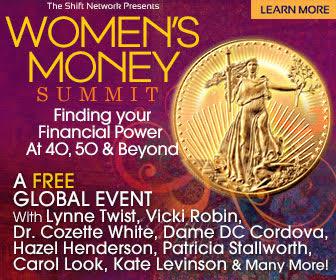 These are just a few of the things I and other leading money experts — including Twist, Vicki Robin, Dr. Cozette White, Dame DC Cordova, Kate Levinson, Hazel Henderson, Patricia Stallworth, Carol Look, and others — will be helping you navigate during The Shift Network’s first-ever Women’s Money Summit! I’m SO excited to invite you to join this amazing event — happening May 22-24 — where women who are on fire with possibility and purpose will guide you with our hard-earned wisdom, and support your personal journey to find your financial power! RSVP here for Women’s Money Summit — at no charge. 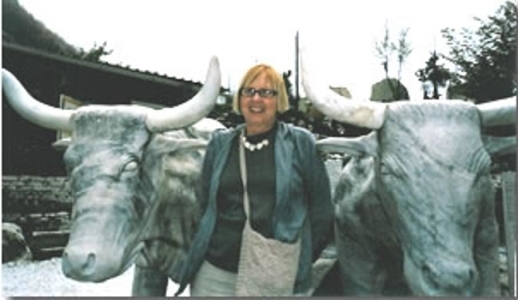 Unpack your financial stories and limiting beliefs around money so you can discover your own sufficiency and inner wealth with Lynne Twist. Learn about how to align your earning and spending with your values and dreams with Vicki Robin. Stop stressing about money — with key tips from Dr. Cozette White — and start “decluttering” and restoring your financial health. Get enlightened on how technological advancement is making rapid and great strides in renewable energy — which will create an avalanche of new wealth with Dame DC Cordova. Explore the profound concept of “emotional currency” and how the feelings we have around money can actually help us better understand and navigate our lives with Kate Levinson. Join the growing movement — spearheaded by women — for creating socially responsible, ethical, and green finance, through Hazel Henderson’s unique wisdom. Master your money and make it work for you by using Patricia Stallworth’s five essential steps. Learn how to clear your fear of success, stop sabotaging behavior, and find your next “yes!” so you can let yourself shine in all areas of your life with Carol Look. During The Women’s Money Summit, you’ll be inspired, empowered, and wholly equipped to break through belief systems and build the skills you need to step into a larger, more luscious life filled with purpose and potential! The visionary women in this series will guide you, step-by-step, in making the next move, fulfilling your calling, and embarking on the journey that you choose. I hope you’ll join us! That says it all, doesn’t it? Understand and conquer your fear of success… so you can stop procrastinating & start shining!